Unless you’re super into Time magazine or cultural photography, you might never have heard of legendary New York Bruce Davidson. But his landmark photography project, the Brooklyn Gang series, was a prominent example of what Davidson did best - capture, with his camera, the often hidden, inner lives of communities traditionally hostile to outsiders. For this series, Davidson documented a gang of troubled teenagers coming of age in 1959 Brooklyn, capturing the young, gritty underbelly of what was then a conservative, “innocent” society built upon family values. These kids called themselves the Jokers, and one glance at ‘em milling around a jukebox and you were immediately captivated by how tough and cool each one of them were. They looked like trouble, and you could tell by the way they greased back their hair, toked their smokes, and snapped their fingers that they were not to be messed with. In the photography series, a nation got to see them look tough, get tattoos, get into fights, dance to records, nuzzle with their best girls and loiter cinematically. The photos captured the imagination of the nation, and the rest is pop culture history. Though the photos had their biggest effect when they were first released, they still hold influence: One of the photos was even used as the cover for Bob Dylan's 2009 album Together Through Life. 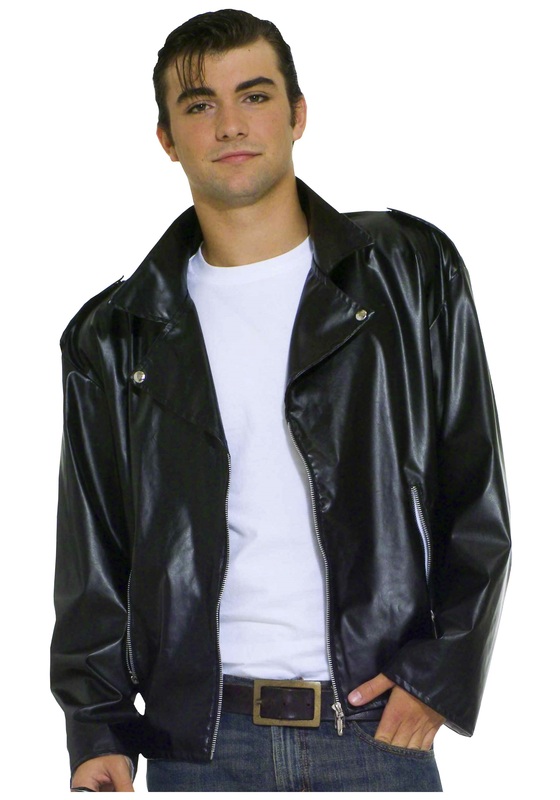 So if you’re as fascinated with the greaser gangs of the ‘50s and ‘60s as we are, then slip over onto the wrong side of the tracks with this Adult Plus Size Greaser Jacket! Grease up your hair, roll a pack of Lucky's into the sleeve of your white t-shirt, cuff your Levis, and you'll be ready to drive fast and take your chances with the wrong crowd!